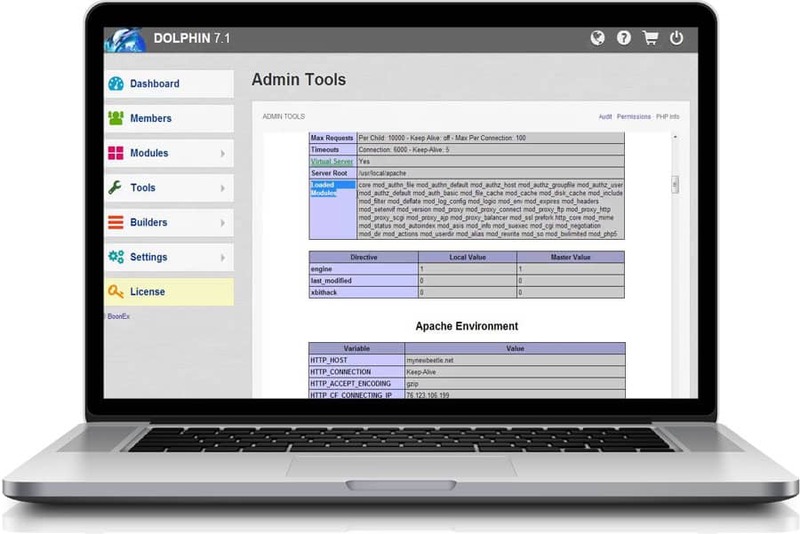 Dolphin is a social networking application which is written in PHP and uses MySQL. It is widely used worldwide for creating dating platforms and any other community based websites. The application was first released by another vendor using the aeDating brand. However it was acquired by Boonex in 2005 and then transformed into a social network script. After years of development and improvement the application has become a preferred solution for a huge variety of people around the world. Currently it provides a wide range of functionalities and features that allow you to create a unique and easy to use website. The vendor provides both free and paid versions of the platform. The main difference is that if you use the free one there will be a “Powered by Dolphin” badge on your website. You can review the pricing on the official Boonex website. The Boonex Dolphin application is a great tool for creating a successful online community, offering all the common features of such website, combining them with an easy to use interface and reliable codebase.